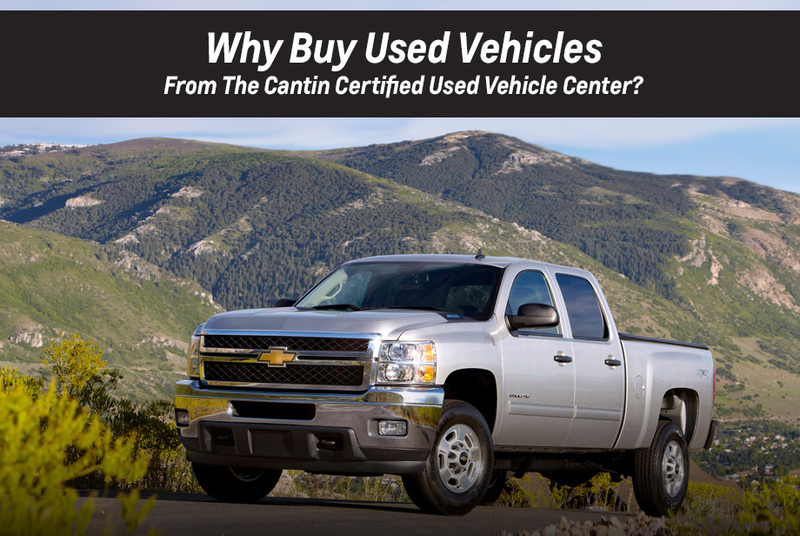 Why Buy Used Vehicles from Cantin? Cantin Chevrolet has been a family-owned and -operated dealership for three generations and nearly 100 years. The owner of our Chevy dealership in Laconia, NH, is at the office and available for you to speak with almost every day, and that is one of the reasons our customers are always satisfied. We treat you with respect, and aren't going to bully you into buying a car, which is why Cantin Chevrolet is the No. 1 place to buy a pre-owned Chevy! Peruse our complete inventory of used Chevy models and find the perfect one based on your needs. Whether you want to take home a pre-owned Chevy Cruze sedan that provides top-notch fuel efficiency, or you need a more spacious SUV like a used Chevy Equinox or a powerful pickup like a used Chevy Silverado, we have exactly what you need. Once you find the car you want, our Chevy finance department can help you secure an affordable auto loan. Good credit, bad credit or no credit, or if you're just a first-time car buyer, we can help! Come to Cantin Chevrolet in Laconia, NH, and speak with our remarkable Chevy sales and finance teams about your options! Every car has accurate mileage and has never been designated as a lemon, salvaged or suffered flood damaged. Our team is trained to detect hidden damage not visible to the naked eye, so you know you're getting quality! Every used vehicle we sell comes with a Free History Report! Just simply ask your sales consultant for it. If you decided you don’t like the vehicle you bought from our New Hampshire Chevy dealership, you can get 100% of the purchase price back to you in the form of a check. Our money back guarantee is good for three days or 150 miles, whichever comes first. Enjoy a test-drive on your schedule. If you can't make it to our dealership to demo a vehicle, we'll bring it to you at your home or place of work! Our redesigned customer lounge and business center offers customer work desks, high-top tables, power charging stations and a wide-screen TV. We even have high-speed Wi-Fi, complimentary coffee, bottled water and snacks for you, too!